So you’re in deep with content marketing. Sometimes it feels like maybe you’re in a little too deep. Wouldn’t it be handy if each week, in the midst of scrambling to get things done, a helper arrived in your inbox, free of charge? 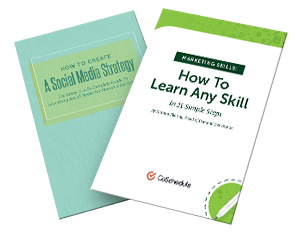 Wouldn’t you love to get free content marketing tips that weren’t overwhelming? The Trouble With Email Courses, Or, How We Changed Everything. We got to thinking about email courses and how, too often, they are overwhelming. Mainly, they are too long. You don’t have a lot of time to dwell on any one item in your inbox, and so the last thing you need is a huge email full of links, paragraphs, and distractions, ending with some action items that seem impossible in nature. A long email is an email with about 95 percent of the information causing your eyes to glaze over. And when you’re on the 14th email in the series, you can’t even remember what you read when the whole thing started all those weeks ago. We wanted to create an email course that was actually useful AND usable. Our thought was this: how can we break down the core concepts of content marketing into six quick (and painless) tips? Customized for your content marketing focus. Easy action items for immediate sense of accomplishment. We’ve laid out four email courses that are built on six key foundational concepts you need to know if you want to be really great at content marketing. Each email is quick and to the point; they won’t take more than a minute or two of your time. But here’s the really cool thing: Each course is targeted to the needs of specific people. Writers, you’ll find out how to get ideas, writing powerful headlines, and how to write copy that people actually want to read. 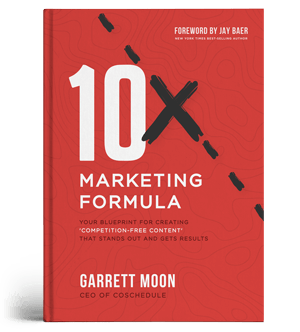 Marketers, you’ll learn how to make content work for you, how to find and keep an audience, and how to create a content strategy that actually does something. Editors, you’ll learn how to manage your team, from tools to the actual nitty gritty of editing. We’ll give you a head start on planning content and keeping it on track. Social Media Managers can expect to learn how to keep on track with their content, and how to focus on customers and a specific audience to make all of their efforts not in vain. Plus, we throw in some great tips on using and curating content that your audience will love. I can’t believe you’re still here, reading. Surely you’re itching to sign up for one and see what we’re talking about. Surely.